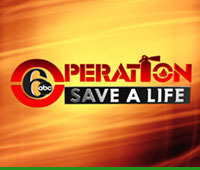 WPVI Hosts “Operation 6abc: Save a Life” | Broadcast Public Service: Local Stations. Big Impact. ABC-owned WPVI-TV Philadelphia partnered with local firefighters on “Operation 6abc: Save a Life,” to educate viewers on fire prevention and distribute 10,000 smoke alarms low income, elderly and other residents. The alarms contain a battery proven to last a decade. In 15 years, “Operation 6abc: Save a Life” has distributed nearly one million smoke alarms. WPVI also produced PSAs that aired in January.